I've Been Charged With a Hit & Run, What Do I Do? Home > Virginia Criminal Defense > I’ve Been Charged With a Hit & Run, What Do I Do? I’ve Been Charged With a Hit & Run, What Do I Do? Posted on: March 16, 2018 By: Christopher Brown, Esq. So you are driving along the road, thinking that it is just another ordinary day and that nothing bad can possibly happen. Then something bad does happen. You end up hitting something, maybe a trash can, maybe a mailbox, maybe another car, or maybe a person. Either way, you panic and don’t know what to do. Do you call the police? Or do you trust your instincts to flee the scene? While it may seem like a good idea at the time, fleeing the scene can automatically give you a hit and run charge. And the hit and run charge make the situation even worse if you are caught. So what can you do about it? Here are the facts. So what is a hit and run exactly? A hit and run charge is upheld if the person flees the scene of an accident. 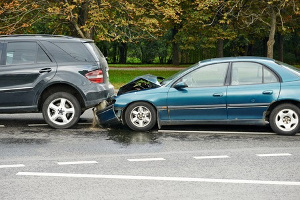 The main three types of accidents are property damage; such as a car or a mailbox, injury; when a person is injured in the crash, and even, in some cases, death. All of these make it possible for you to get a hit and run charge if you manage to hit something and flee the scene of the accident. Charges can range from misdemeanor hit and runs to felony hit and runs. What’s the difference? We will discuss it below. Misdemeanor hit and runs vary from state to state, but generally speaking they involve only damage to the property and no injuries are reported from the site of the crash. You will still get jail time, which can last for even up to a year, and a fine of at least around $1,000, though they can rise up to $5,000. However, misdemeanors can have your driver’s license revoked or suspended, sometimes lasting as long as three years in some states. This will leave you carless and unable to transport yourself properly once you get out of jail, which can have you searching for other means of transportation. A felony hit and run charge, on the other hand, is much more severe. Felony hit and runs are when a person is injured in the accident or death occurs in the accident. Felony hit and run charges are always a guaranteed if someone dies at the scene of the crash and you flee. For a felony hit and run charge, fines can be from $5,000 to up to $20,000 and you are liable for incarceration, leading you to be imprisoned for up to 15 years. Like misdemeanor hit and runs, felony hit and runs will have your license suspended or revoked. It is also possible that, in the event of a crash, that the person who had their property damaged or was hit will sue you for for damages suffered in the accident. This can lead up to monetary compensation for medical bills, lost wages, and property damage. A hit and run charge can also lead to “treble damages,” which triple the amount of money that you have to give to the plaintiff. When this occurs, you need to hire a traffic defense attorney to help you lessen the charges and the amount you have to pay to the person. Your traffic defense attorney may argue about how the incident occurred without your knowledge or how the victim of the accident misplaced the contact and insurance information of the one who caused it. This can be capable of having your charges reduced or eliminated if it is a misdemeanor. If you are facing a hit and run charge, contact your local traffic defense attorney today.